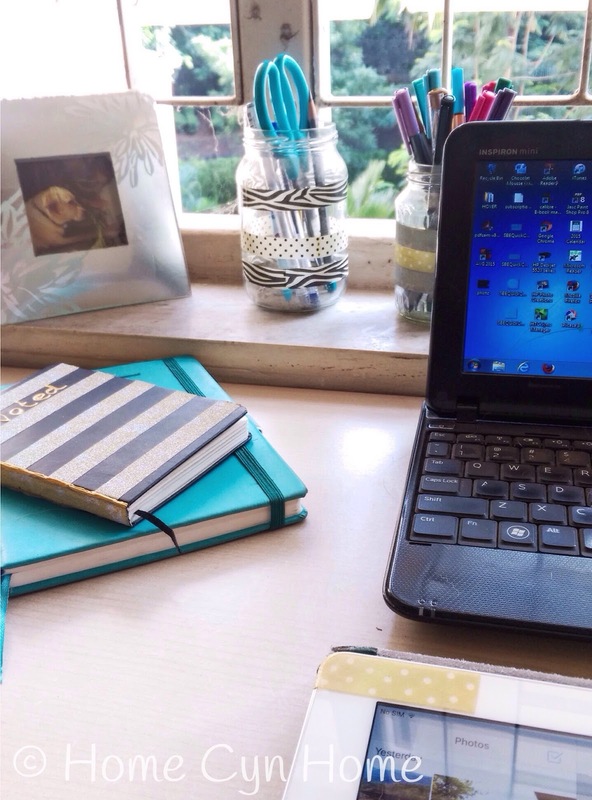 How much time a day/week do you dedicate to blogging? This very question is one that bloggers get asked often, along with how profitable a business it is. This is also a question that has no real clear cut answer. Because, you see, the answer depends what type of blog you have. If you are blogging to chronicle your life mainly for the benefit of family and friends and have no plans of growing your audience, 2-3 hours a week will be more than enough. If you are a professional blogger, or aspire to be, it will require much more of your time. Certain niches are also far more demanding and fast paced than others on average, count about 2-3 hours a day of pure blogging (often much more). I myself spend about 4-5 hours in front of my computer doing something that is directly related to my blog. Be it drafting posts, editing pictures, publishing and promoting on social media (that last bit is huge...you MUST promote). However, this doesn't stop there. I spend a lot of time thinking about DIY projects and recipes, and whenever I am directly engaged in one particular project I will clock a couple of hours. That groovy wall border took me a total 6 hours (prepping, painting and picture taking). I take about 99% of the pictures that end up on my blog, so you can imagine that I spend a significant amount of time snapping pictures as well (and again, more time editing them). When I am not busy with my own blog, I read other people's blog or articles for both inspiration and as a learning tool. Blogging has a huge learning curve and the skills you will gain from it are unbeatable. I am not afraid to say it out loud : Blogging is the most women friendly venture you can get yourself into. It offers you the option of flexible timing during which you get to learn and hone skill that are custom made for your need, at no cost (other than your computer and Internet plan) and without the pressure of a deadline or exam. There isn't even the pressure to be perfect from the start, because having a blog is free, and you can learn as you go, and yes, your first few entries will be awful. A thing you'll only realise after a few years of gaining steady experience. I myself learned a gold mine of skills in the past 11 years of blogging. Skills that I would have in all likelihood never learned otherwise such as : basic HTML coding, learning how to use a photo editing software, learning how to take better pictures, perfecting my writing style, or even self promotion and networking. And guess what? I am still learning. I am still dreaming bigger, wanting more and have big ideas. In just the past year on my new name and niche I have learned quite a few lessons already. Now that my daughter is in school full time, I have the time to get deeper into blogging than ever before. So, these days, I spend a total of about 8-9 hours a day wither working on my blog or doing something that could benefit my blog in the long run. On weekends I usually cut it down to 2-3 hours, mostly early in the morning. This very blog post for example, was first drafted on a Saturday morning in Starbucks while my daughter was in her Gymnastics class. If that tells you anything about how I work. Do you have a blog? How much time do you dedicate to it? I can definitely relate to this!! I just launched my blog last month and I have spent an incredible amount of time designing, sharing it and focusing on the content that I share. Great post! I just went looking at your blog, it is looking great. I think the sharing and promoting part is what takes the most time and is also the most essential thing to do these days. I wish someone started a blog about the adventures of marriedays Indian man. It would be most interesting. It could be titled as "adventures of a married man in india- mother, wife and everything in between" lol. It would definitely a big hit. on a more serious note, there is such deluge of female blogs men should also put up their point of view. They must have lots to say. Unfortunately they write about sports and electronics and never about their lives which is such a pity. The interesting part about men blogs is that even the technical ones are super hard to follow, while a woman writing a tech blog will be much clearer. must be one of those modern liberal kind of man. I want to the read the exploits of slightly conservative simple man who is greatest fun is watching news and eating dal chawal. The kind of guy who is on the verge of unclehood. pot bellied with rapidly receding hairline. just a regular guy. believe me these plain people have lots to say just scratch the surface. It will interesting to dive into their minds. I doubt that kind of man blogs to begin with because most would consider blogs a far too modern and liberal medium. it is not about bring liberal or conservative but being real. We are both conservative and liberals. I guess most Indians are like that. life is a work in progress. It is daily struggle. the questions asked are not simple. why don't we admit that we operate in this grey area instead of turning into fake modernists ?? The day we understand our dilemmas as an Indian we will be in a better position to tackle our problems. The plain slightly pot bellied people are perhaps best placed to articulate these concerns. Great post! I especially liked how you brought up the many and various skills learned, honed, and maintained while blogging. Looking back on my own journey, I am constantly amazed at how much skills I picked just blogging. The irony is that I remember members of my family saying Internet was stupid and had not much of a future when it just really started and I got all excited about it. Talking about the power of internet I was watching a news programme last evening. It was about a weekly market in Delhi where pulses, rice and vegetables are sold at cheaper rates. People from all over delhi and outside the city flock to this market to buy goods because they simply cannot afford to buy dals at the local market. Needless to say the dals were substandard, fruits/vegetables were rotten. They take these goods and clean them. I did not know that such a market existed in my city, yes weekly markets are running in different parts of delhi. They are forced to consume these goods because they have no choice. Even at cheaper rates they were not able to buy it and had to curtail their purchases. This definitely has an effect on their health. Suppose these people had access to internet, social media and they could articulate their plight and let people know what their problems are. Some of them have smartphones with internet but they do not know its power. When internet reaches their homes, there will be free exchange of ideas and we will see a more positive change in the society. This is the real power of internet. This is exactly why those small corrupt politicians demonise the West, English and technologies and pronounce them anti-Indian culture. Because the day people know how to use the Internet and have access to a wider source of information is the day those politicos will go to their doom as nobody will accept their garbage, scam and corrupted ways anymore. A strange and funny thing is happening in India. There are many people in India who are active on the social media. There are the seemingly modern people because they can tweet. However, when you see what they are saying it is repackaging of old things. The young generation do not know because they are not aware of what happened thirty years ago. We the children of pre-liberalized India can actually recall where we have heard it before and what happened afterwards. It just been told in a different manner that is why it is appears new. The younger generation probably believe that world came into existence just yesterday, so it is futile to talk to them. The younger generation is enthralled with "all that glitters is definitely gold". They think that those who are well versed with technology are just like them and, therefore, intelligent. Yes, there are lots of disruptive forces which are using social media for spreading fundamentalism. Internet has become the fastest medium for such diabolical purpose. But it is these seemingly modern people who are fooling people who are more dangerous. Overall, I find a blind faith in people about those who are using social media. Its not the medium but the message is what matters and you must also have a background knowledge to read between the lines and interpret it. Many turbulent things have happened in India's past and we have been directly or indirectly witness to it. I wish those things never happen again. Thus, it is all the more important we understand this new medium.